It could happen in an instant. One moment you could be going about your everyday business — whether driving to work, playing football, or walking in a supermarket — and the next moment you could be in a hospital room unable to move your legs or suffering from hearing loss and memory problems. This is the situation countless people find themselves in every year. Catastrophic injuries have changed the course of millions of people’s lives. While the initial injury can be painful and disorienting, it’s the long-term consequences that make catastrophic injuries so heartbreaking. But, for those who have suffered catastrophic injuries from the negligence of others, there may be a way to get compensation and justice. Find out more about catastrophic injuries and how a lawsuit may help get your life back on track. There is no definitive legal definition of a catastrophic injury. It is generally defined as a permanent injury that prevents someone from performing gainful work. The American Medical Association has a narrower definition that limits the severe injury to the spine, spinal cord, or brain. Catastrophic injuries usually happen suddenly without warning and will alter the person for the rest of their life. They may no longer be able to work or enjoy life the way they did before the injury occurred. These types of injuries are sometimes distinguished from minor injuries because of the serious stress they place on family members. Spouses or parents will often have to deal with lifelong rehabilitation processes or take care of individuals with permanent disabilities. Even though these types of injuries are sometimes limited to damage to the spine, spinal cord, or brain, they can encompass a vast range of injuries. Catastrophic injuries are usually defined by their suddenness. This means the causes of these injuries can happen in all types of situations. These are among the most common. Motor vehicle accidents are the leading causes of injury in the United States. That’s why it shouldn’t be surprising that car crashes also account for the vast number of catastrophic injuries. While most injuries are minor,>more than 33,700 people die in car crashes and even more suffer permanent injuries1. Falls are another contributor to catastrophic injuries. The young and the elderly are most susceptible to falls, but they can also happen at any time. For example, an individual could be shopping in a department store, slip on an unmarked wet spot, and slam their head into the ground. The consequences could even be fatal. Basketball or football may seem like a fun and harmless activity, but 325,000 kids are treated for sports-related concussions in emergency rooms every year. A blow to the head or spine can leave a child permanently paralyzed1. Intentional acts of violence can also result in catastrophic injuries. Even a scuffle during a road rage incident could cause someone to suffer spine or brain injuries. When a patient goes into surgery or treatment at a doctor, there is some abdication of liability. Doctors must do everything in their power to help an individual, but if they fail, they won’t usually be held accountable. However, if a doctor or medical professional injures a patient from malpractice, they could be held responsible. 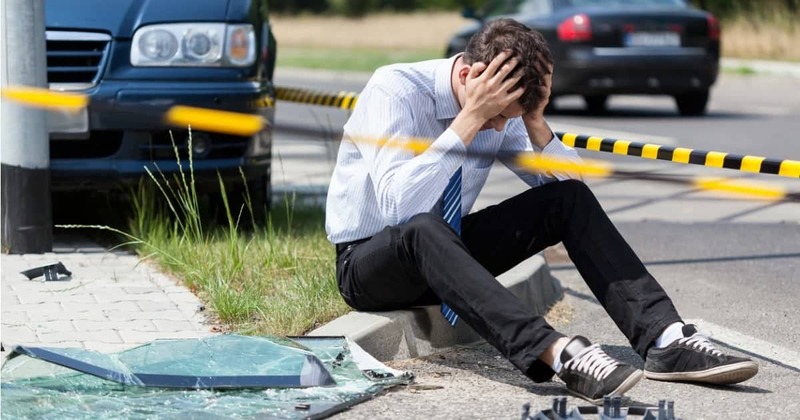 Other causes of catastrophic injuries include but are not limited to animal attacks, plane crashes, defective products, drunk driving, workplace injuries, premise liability, general negligence, and transportation accidents. When an individual suffers a catastrophic injury caused by the negligence or recklessness of another person, he or she has the right to sue for compensation. If a defendant is found liable for a plaintiff’s injury, they could be required to pay damages. This includes damages for medical expenses, lost wages, property damage, and more. In some cases, noneconomic damages may also be awarded for pain and suffering, physical impairment, loss of consortium, disfigurement, and inconvenience. Some states limit noneconomic damages, however. Because damages can be so high and difficult to calculate, the facts surrounding the case become more complicated. Some may feel inclined to pursue damages alone to save on legal costs, but that can be a huge mistake. Catastrophic injury lawyers have the knowledge and experience needed to get the maximum amount of compensation for a victim. The majority of cases will never make it to trial, which means negotiation with the other side is vital. In some cases, defense attorneys will try to place the blame on the plaintiff in order to get out of paying damages. Even proving that the plaintiff was partially at fault could result in the loss of tens of thousands of dollars. This should not happen. An experienced attorney will be able to help an individual gather evidence to prove that the defendant was at fault while showing the long-term economic losses suffered as a result. Anyone who believes they or a loved one has suffered a catastrophic injury caused by another person should contact a lawyer as soon as possible. CDC. “Key Injury and Violence Data”, Centers for Disease Control and Prevention, https://www.cdc.gov/injury/wisqars/overview/key_data.html. Accessed DATE.